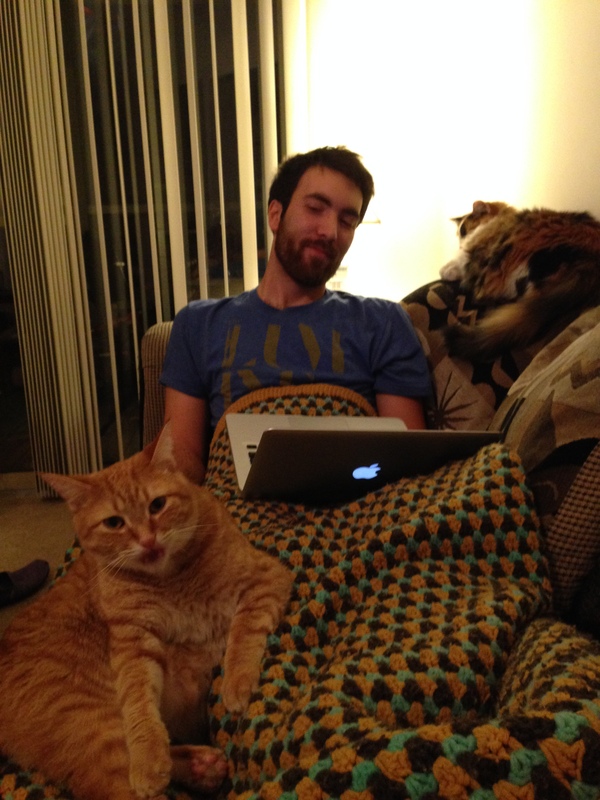 Felines are a key component of my writing process. Early this morning, my short story “American Grace” was posted to the Indiana Writers Center’s online literary journal, The Flying Island. This story is my first published creative writing piece besides those in the UIndy student literary magazine. This isn’t right for us right now. Good luck placing it elsewhere. Rejection is a part of being a writer. Most published writers I know say that they have about a two-percent acceptance rate. So I don’t fault anyone for rejecting it. A lot of those magazines are ones I really respect and hope eventually to be published in. This feels like a step forward for me, and I couldn’t be happier to see “American Grace” find a home with IWC.